Celebrating Lord Krishnas birthday in Dhaka Bangladesh. 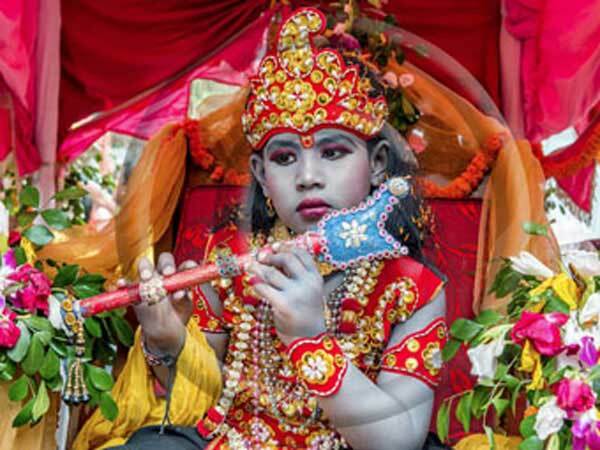 Krishna Janmashtami for the year 2022 is celebrated/ observed on Thursday, August 18. Thursday, August 18th is the 229 day of the 2022 calendar year with 3 years, 3 months, 27 days until Krishna Janmashtami 2022. When is Krishna Janmashtami 2020? When is Krishna Janmashtami 2021? When is Krishna Janmashtami 2022?